Thank you for honoring our Troops! I just saw a commercial by Montlick & Associates in honor of our troops. I was so deeply touched and filled with appreciation. My husband served our country for many years, and my son is serving now. It means so much to me for someone to take the time to express their gratitude to the men and woman who make it their mission to protect all of us in this great country. With their moral values, there is no doubt in my mind which attorney I would want to help me if I am ever in a situation where I need legal advice. Great Law Firm to have on your side. I was extremely pleased with the service I got from Montlick & Associates. Their staff & lawyers are great. Always friendly, always helpful, always concerned. They are good decent folks. They treated me like a friend. I highly recommend them. I have dealt with dozens of lawyers- both for my business and for my family, for the last 20 years. And I can tell you that the personal attention and quality of legal work done by Montlick & Associates was truly exceptional. When I had an accident- I knew I needed a good lawyer. 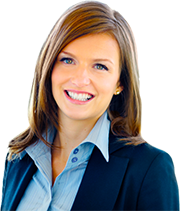 I spoke to five different law firms before calling Montlick & Associates. I learned really fast that there is a big difference in how different law firms treat their clients. 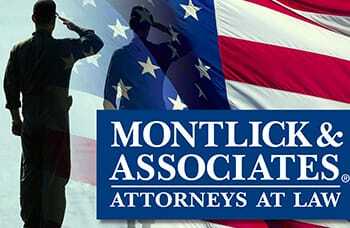 ONLY Montlick & Associates took the time to explain my rights in great detail and patiently answer all of my questions. At the other firms, I didn’t even get to speak to a lawyer! And it was no different when Montlick & Associates handled my case: they were ALWAYS there for me- answering my questions, taking care of everything I needed help with, and always keeping me informed. They even called me just to see how I was feeling! When I left a message they always called me back quickly, and I spoke to my lawyer whenever I needed to. I will never forget the kindness of everyone who helped me at Montlick & Associated. Montlick & Associates treated me like family, and they got me a great settlement for my injuries. Montlick & Associates was very personable, professional and respectful of the situation I was in. He seemed to genuinely care. He was very kind to me from the very onset of the call, and the assistant is a gem. I am very thankful for their kindness. Montlick & Associates is a 10!!! On a scale of 1 to 10, I rate Montlick & Associates a 10!! Great Service, always returned my phone calls, really cared about me. They were there for me when I needed them and worked very hard on my case. And they got me a great result. Good people. really concerned about my situation. Montlick & Associates got me over a $900,000 settlement, after another lawyer told me that I didn't have a case!!! I can't say enough good things about this firm. They are the best. I am a retired attorney myself and Montlick & Associates handled my case, so I speak from authority when I tell you that Montlick & Associates is an exceptional law firm. They really go the extra mile for their clients. The staff is incredibly nice and concerned. Their attorneys are really smart- way above what I have seen in other law firms. They return calls and keep clients informed- something most firms are really bad at. Montlick & Associates is a top notch firm. From my experience, if you have been injured in an accident, this is the firm to call. Hard Working, Reliable, Good Folks. Montlick & Associates did an awesome job handling my case. They worked hard, kept me informed and always did what they said they would. I am very happy with the end result. They are good people, and I feel lucky to have had them on my team! Montlick & Associates protected my rights. Two co-workers told me I should call Montlick & Associates. I am sure glad I did! The insurance company offered me $2,500. Montlick & Associates got me the other driver's policy limits of $100,000! But aside from the money, they treated me right and were always just a phone call away. Montlick & Associates are good folks.